How many calories should my dog be eating? 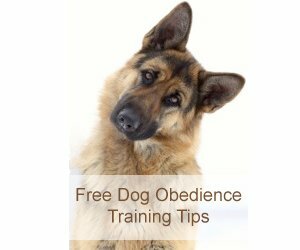 The breed specific dog food calculator below can help you determine how much to feed your German Shepherd. Based on your dog's weight and age, you can double check to make sure that you are providing enough calories in dog food, without overfeeding. The calculator below can be used for puppies, adult and senior dogs. Please note that it was not designed to calculate nutritional requrements for pregnant or lactating females. Not all dog food calories are created equal. If you are not feeding quality pet food, your dog's nutritional needs will not be adequately met. She will need more of the inferior food to feel full. Of course, even after a quality meal, Schatzi would never turn down a turkey neck. So, if you're feeding adequate, quality food, do not be tricked into overfeeding. Too much weight on a GSD's frame will harm their joints and can severely aggravate hip dysplasia in German Shepherds. Stay away from commercial dog food and avoid common allergens such as corn. Try a grain free dog food as well since it is difficult for dogs to diget and is used mostly as a filler. Dog food blends that list meat as the first ingredient are best. Find more tips for selecting natural pet food.